While Rwanda is on track to achieve its goals of economic growth, education for young adults is lagging behind. With many unable to complete middle school, young adults aged 16–30 need training in work readiness and employability skills so they can find work in the local job market. USAID Huguka Dukore Akazi Kanoze will provide learning and internship opportunities; entrepreneurship training and coaching; and access to financing, family planning, and reproductive information. The project promotes gender equality, social inclusion for youth with disabilities, and holistic health programming. It builds upon workforce development strategies successfully implemented by EDC under the USAID Akazi Kanoze and the Mastercard Foundation Akazi Kanoze 2 activities. 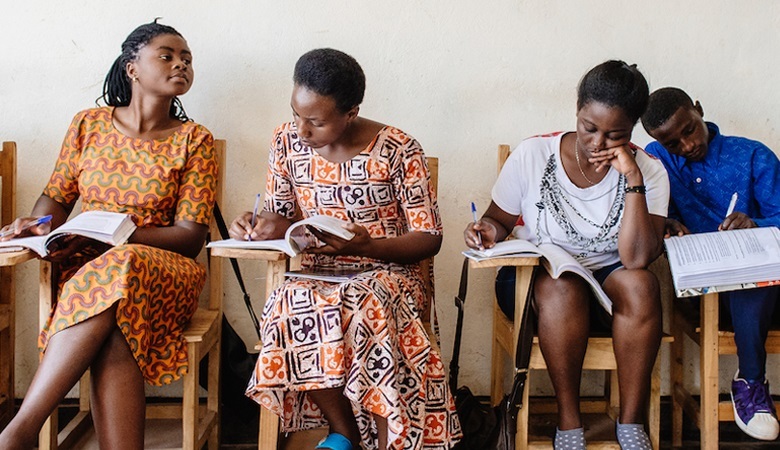 In Year 2, work readiness programs for vulnerable youth enrollment increase from 3,428 youth in 8 districts to 15,850 youth enrolled across 23 of Rwanda’s 30 districts. In 2018, HDAK trained 22 local organizations to assess and share local labor market data and deliver market-relevant employment preparation and job intermediation services as prerequisites to connecting vulnerable youth to stable work and self-employment. 8,220 youth received training on reproductive health and family planning as part of the Work Ready Now! training. This collection of stories highlights the success of youth who participated in the USAID Huguka Dukore Akazi Kanoze project in Rwanda.